FORT INDIANTOWN GAP, Pa. – Despite numbing cold, whiteout snow conditions, high winds, freezing rain and occasional falling two-foot icicles, Soldiers of the Pennsylvania Army National Guard (PAARNG) here are midway into testing a radically different personnel and pay system called the Integrated Personnel and Pay System – Army (IPPS-A). 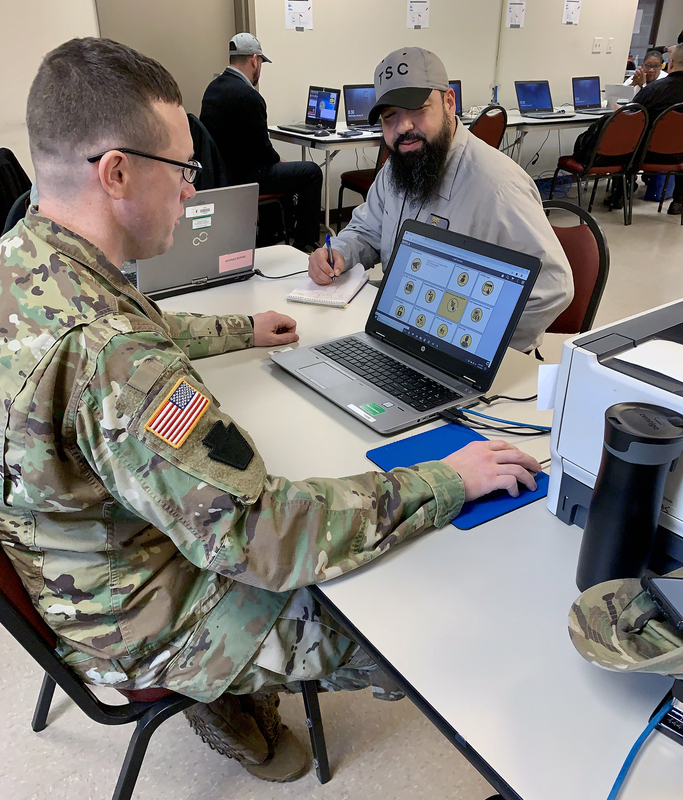 “It’s a system that will transform the Army’s disparate personnel and pay environment into a single modern system serving all National Guard, Reserve and Active Duty Soldiers,” said Mr. Richard J. Licata, deputy product manager for IPPS-A. Before it can be fielded to National Guard units in other states and territories, IPPS-A must prove its mettle with the PAARNG. The Limited User Test (LUT) is taking place and spread out over six Pennsylvania cities, which include Scranton, Wilkes-Barre, Harrisburg, Allentown, Horsham, and Philadelphia, which includes 11 user locations and 17 user sites, replicating the way IPPS-A would be used on a battlefield. “Feedback provided from Guard Soldiers will ensure the system is developed, tested, and operating the best it can when it comes time to eventually push the live system to the rest of the State National Guards, and the Active and U.S. Army Reserve components in the possible near future,” said Mr. Larry E. Wollenberg, test officer with the Mission Command Test Directorate, U.S. Army Operational Test Command (OTC). A test team with the Fort-Hood, Texas-based OTC, is collecting test data while the U.S. Army Evaluation Center (AEC) from Aberdeen Proving Ground, Md. 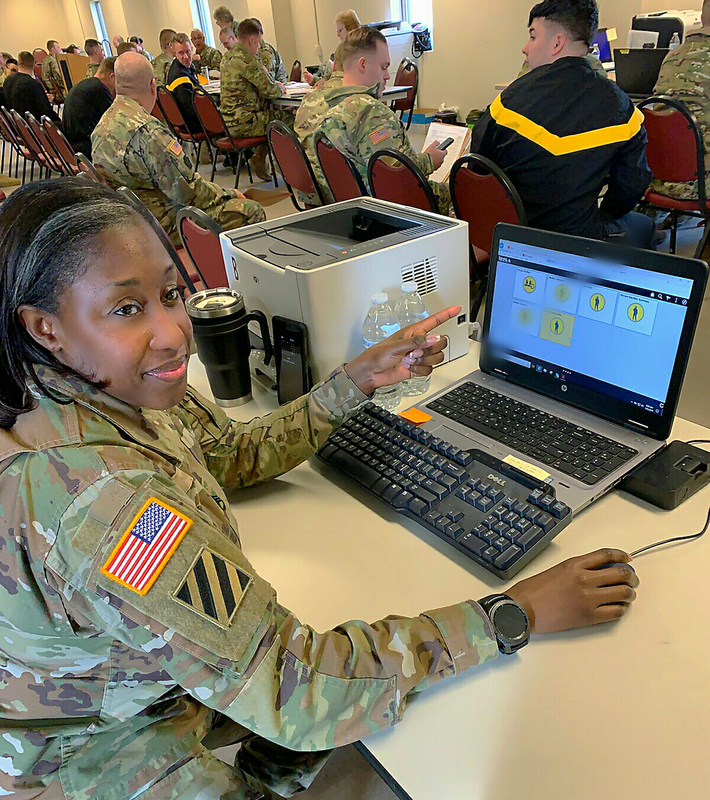 performs data analysis using standards and protocols that compare IPPS-A performance to the Army’s current (legacy) system — the Standard Installation/Division Personnel System (SIDPERS). “OTC’s data collectors are working over-the-shoulder with full time Active, Guard and Reserve Soldiers during the week to collect data on IPPS-A transactions and with Multiple Unit Training Assembly (MUTA) Soldiers, inputting IPPS-A transactions during weekend drills,” said Lt. Col. Steven Rodgers, deputy personnel director with the PAARNG. “There were hiccups at the start of testing as the Soldiers familiarized themselves with the new IPPS-A way of doing personnel transactions,” said Chief Warrant Officer 4 Louis Burge, a subject matter expert and observer on loan to the test from the National Guard Bureau in Arlington, Va.
“But things have stabilized and it’s now pretty much business as usual,” he continued. One immediate challenge for PAARNG was to use IPPS-A to successfully execute six days of Soldier Readiness Processing (SRP) to prepare 600 soldiers for a future deployment. According Licata, the IPPS-A PMO team is able to use LUT data to implement software fixes, provide feedback to users on those fixes, and to develop best practices that will improve current and future deployment versions of IPPS-A. IPPS-A testing is midway through the LUT which began Jan. 7. Operational testing began Oct. 1, 1969, and as the Army’s only independent operational tester, OTC is celebrating “50 Years of Operational Testing.” The unit taps the “Total Army” (Active, National Guard, and Reserve) when testing Army, joint, and multi-service warfighting systems in realistic operational environments, using typical Soldiers to determine whether the systems are effective, suitable, and survivable. OTC is required by public law to test major systems before they are fielded to its ultimate customer — the American Soldier. 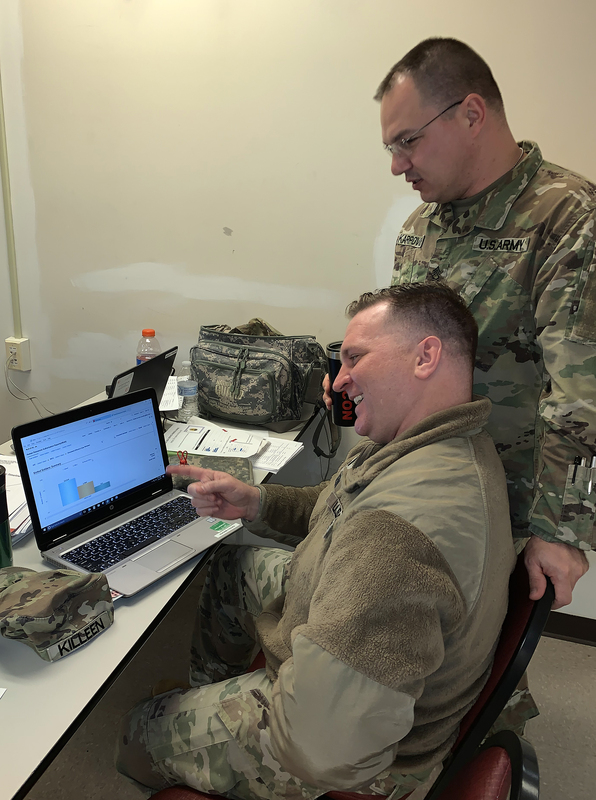 OTC’s Mission Command Test Directorate tests systems for a net-centric environment that will process and transmit voice, data, messaging and video information through networks at the tactical, operational, strategic and sustaining base levels.